A Spectacular Waterfall - Hidden Falls » What's Under the Needle? 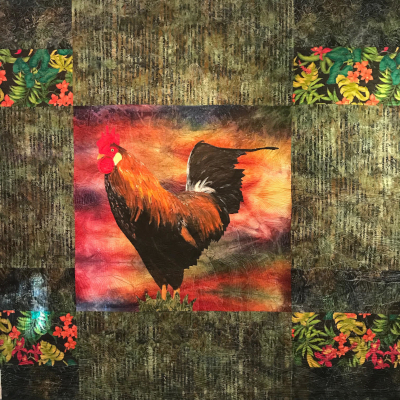 How did she come up with such a beautiful quilt? 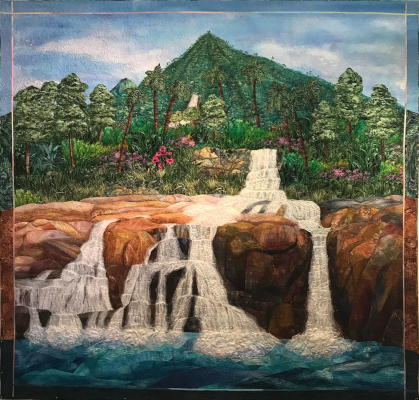 "It's based on a memory from a recent trip to Kauai. We kayaked down a river for a couple of miles, then hiked back through the jungle," she commented. "The only animals we saw and heard were roosters and a kitten, though. I did put a giant rooster on the back!". 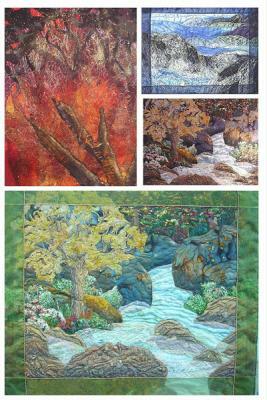 To find out more about Linda and her online workshops, visit her at https://www.academyofquilting.com/faculty/linda-schmidt/ or join our newsletter below to hear when workshops begin.